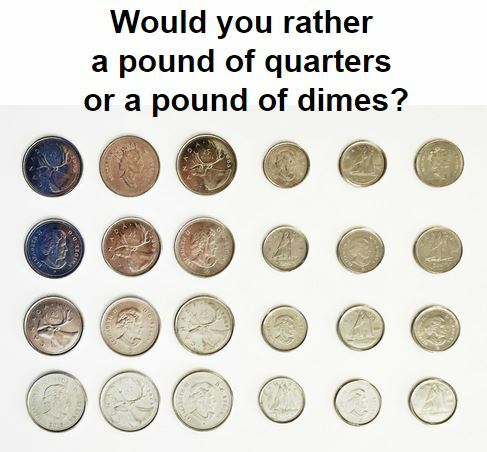 WYR: A pound of dimes or quarters? 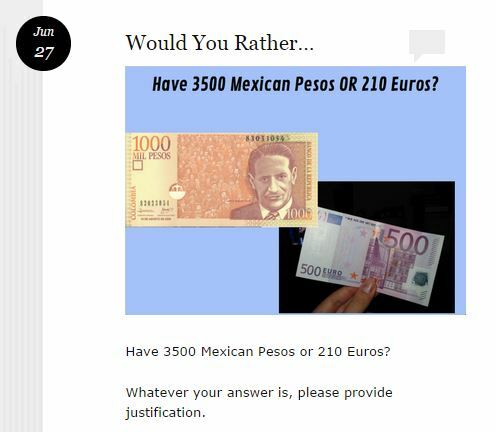 One of the bellwork activities I like to use are Would You Rather (WYR) questions. Which choice would you rather? Don’t forget to justify your answer! 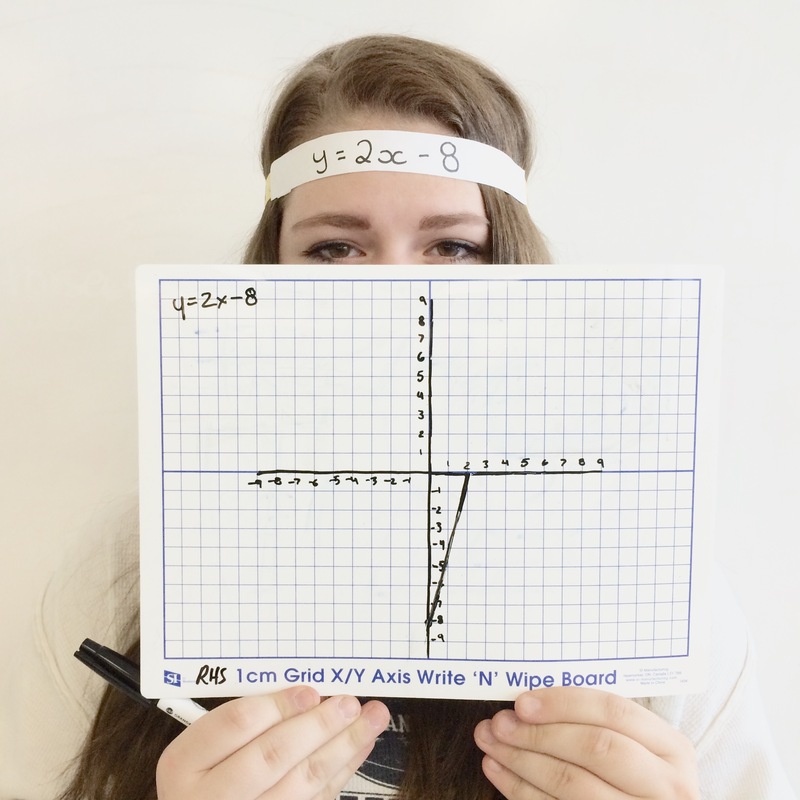 Last year, I read a post about Quadratic Headbanz by Mary Bourassa and thought it sounded like a great game! 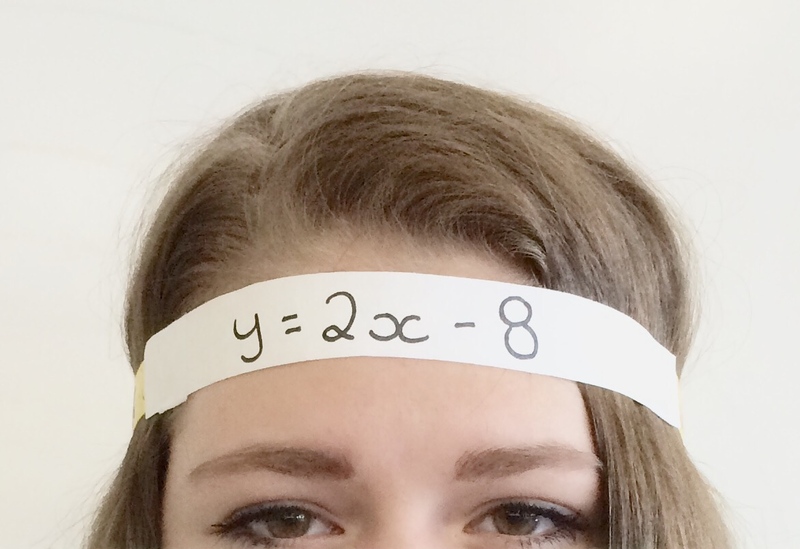 Each student is given an equation headband. They are instructed to put the headband they were given on someone else who is not seated at their group ensuring that the person can’t see the equation you are putting on them. 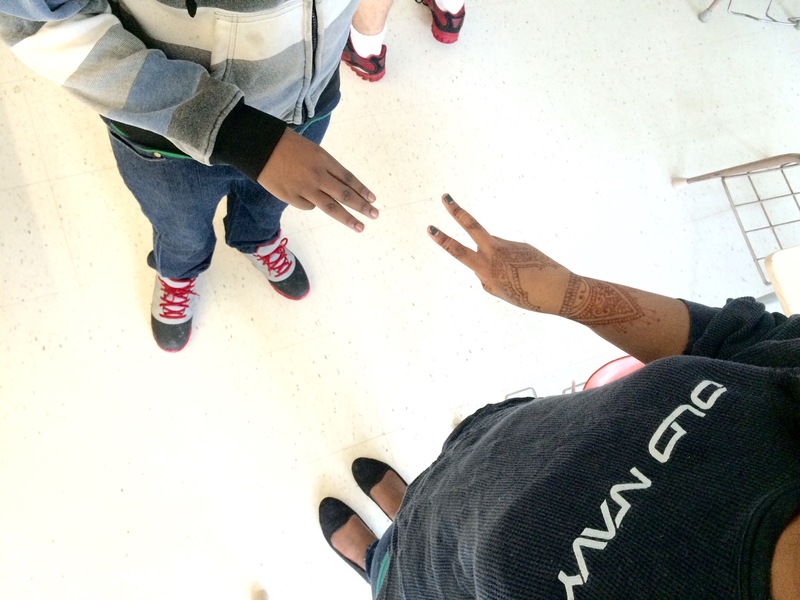 Students walk around the room asking yes/no questions of their classmates. Questions such as “Is my slope positive?”. Classmates may answer yes, no or I don’t know. They are not allowed to ask the same classmate two questions in a row. When they think they know their equation, they come to me and tell me their answer. If wrong, I send them back out to their classmates to keep trying. 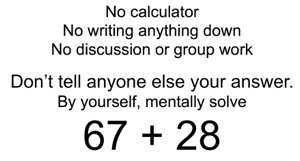 If they are correct, I remove their headband for them and send them back out to answer the questions of those students still working to determine their equations. In the past few weeks I added a new step to this game: graphing. 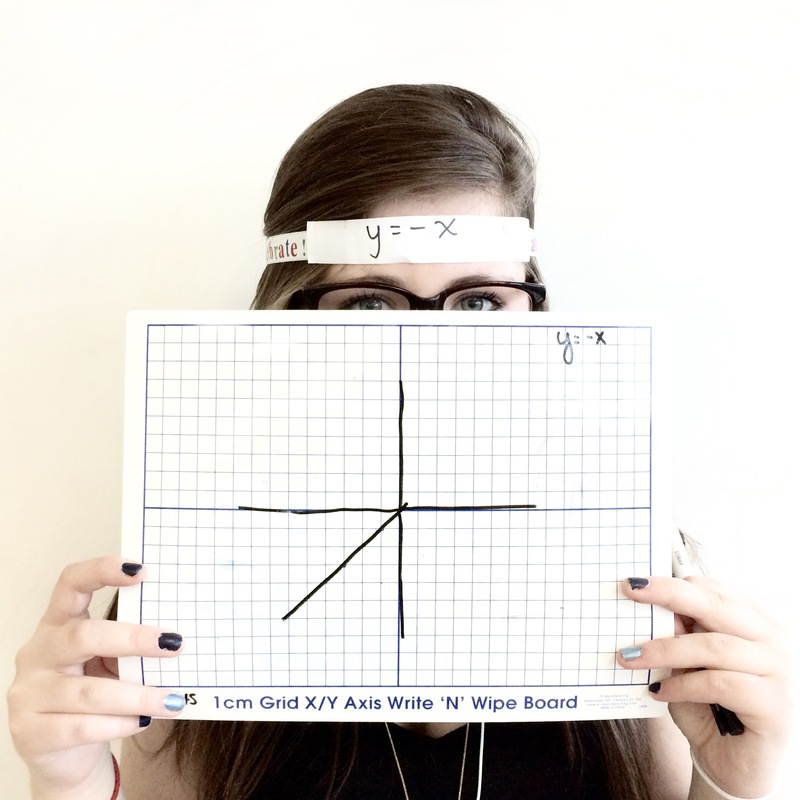 Not only did you need to determine your equation, but you had to create a correct graph on a handheld whiteboard with the Cartesian plane. My students found it tough but they did it! A good number of my kids knew their equation but were struggling to graph it. It was awesome to watch the stronger students that finished first go back and help teach their peers how to use the slope and y-intercept to make their graph (I had to remind them often not to graph it for them, help them by explaining & asking questions … “don’t touch their marker!”). I use this game as a bellwork (although it takes longer than the usual bellwork task) on days when we might be doing more individual practice and thus fairly sedentary for the rest of class. This is a great way to have everybody up and moving around the room, talking to different classmates before settling in to the main seat work on a given day. A continuation in my Bellwork series. You can find a description of what “bellwork” is here. This one I do comes from John Stevens‘ Would You Rather blog. This problem required my students to do some currency conversions. These conversions helped my students review ratios & proportions from MFM1P & serves as a warm-up for the proportions they’ll be working with for similar triangles in this MFM2P class. Some students simply used Google to convert the currency. Some students converted pesos into euros. Others converted euros into pesos. Still others yet converted both into Canadian dollars. 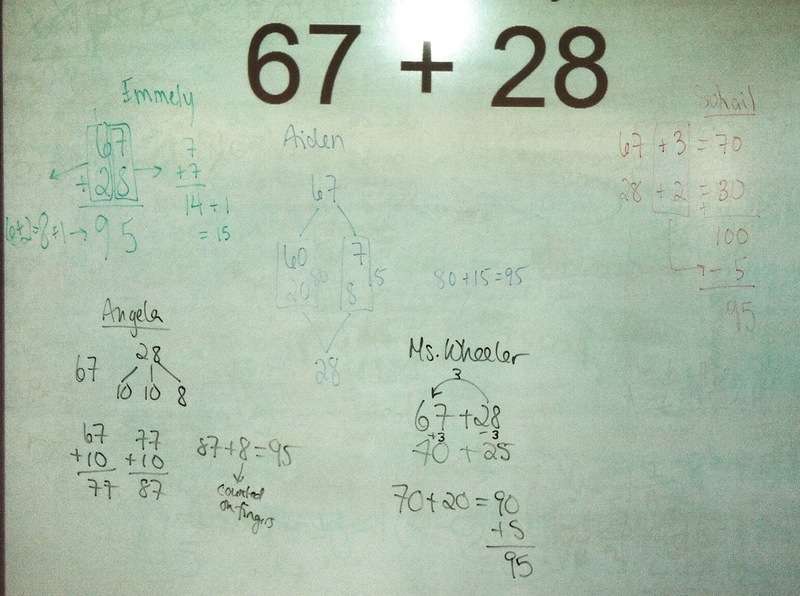 I love when my students can see that there is usually more than one way to solve a problem! The one thing I will admit is that these “would you rather” problems can take us longer than the usual 10-15 minutes I allow for bellwork. So I try to pick very simple ones (sometimes making my own) or I use them as a jumping off point to the day’s main activity – sometimes the “would you rather” IS the day’s activity if it’s complex enough of a problem. Stay tuned for more Bellwork ideas to come . . .